TDS is using Smore newsletters to spread the word online. In the last two newsletters, the topics involved small group instruction. In this edition, there is information about whole group and independent work. Enjoy! Today we are going to read this book [hold the book so the front cover is visible]. It is called Snow Day! The author is Lester Laminack, and the illustrator is Adam Gustavson. Take a look at the illustration on the front. These two kids seem to be zipping down a hill on this red sled. Before we read this one, let's take a walk through the pictures and see what is going on. Turn to the first illustration and begin a conversation. It may go something like this: Well, I see a boy looking right at us and his eyes are really large. He looks excited. I wonder what he might be excited about? And look at the girl lying there on the floor in front of the TV. Mmmm, that's interesting, the man on the TV is standing in front of a map and that looks like clouds and snowflakes. I wonder what that man is talking about. Oh look, there is one more person in the illustration. See the man over here? He looks like a grown-up and he's wearing an apron and has a spatula in his hand. It looks as if he is coming from the kitchen to see what is going on. Now I'm really wondering what these three are talking about. Let's turn the page and take a look at the next illustration, shall we? Just imagine how excited you'd feel if you heard the TV weatherperson announce the possibility of a big snowfall on a SCHOOL NIGHT! Imagine what you'd be thinking about and how excited you would get. Perhaps you'd be thinking about staying up late to watch TV. Or sleeping in the next morning. Or you might be thinking about your homework and how you could just skip it until the next day. Maybe you'd be thinking about all the fun you could have spending the day playing in the snow-snow forts and snowball fights, sledding and snowmen.. . . Oh, and then you'd need to come inside and get warm. There's bound to be hot chocolate on a snow day-mmmm, I do love a good mug full of hot chocolate. Today we are reading Snow Day! I can hardly wait, let's get right to it and see what happens on this snow day. . . .
Today I have a new book for us. This one is called Snow Day!, and look, it's written by Lester Laminack. We know who that is. He wrote Saturdays and Teacakes. Do you remember seeing and hearing him read that book on the DVD I have? He also wrote a few other books that we have in our room; do you remember which books he wrote? Let's take a look [have the books close by and hold each one up]. He wrote Jake's 100th Day of School and Trevor's Wiggly-Wobbly Tooth. Those stories remind us of the things we do at school. We have talked about that several times. He also wrote The Sunsets of Miss Olivia Wiggins; remember how that one always makes me cry because it reminds me of my grandmother? I checked Lester's Web site and bookmarked the page for you if you'd like to go there for yourself. I discovered that Lester was a teacher in an elementary school and in a university. That helps us understand why he might write about what happens at school in Trevor's Wiggly-Wobbly Tooth and Jake's 100th Day of School. I'm thinking Snow Day! might have a connection to school as well. Let's try to remember to look for that as we read. I also found out that he grew up in a very small Alabama town called Heflin. And I discovered that Saturdays and Teacakes is a memoir about growing up in that small town. I am wondering if there is anything from his life in this new book, Snow Day! Let's think about that when we are listening. Remind me to check the dedication, since authors sometimes share connections for us there. And one more thing I discovered when reading about Lester. He lives in Asheville, North Carolina, and it does snow there in winter. So now I'm wondering if that's where he got the idea for this new book. Let's take a look inside and see what we find. Let's settle in and see what goes awry in this story. . . .
Well, duh. . . this is pretty clear, huh? All kidding aside, I often just share the title, author, and illustrator, then begin. 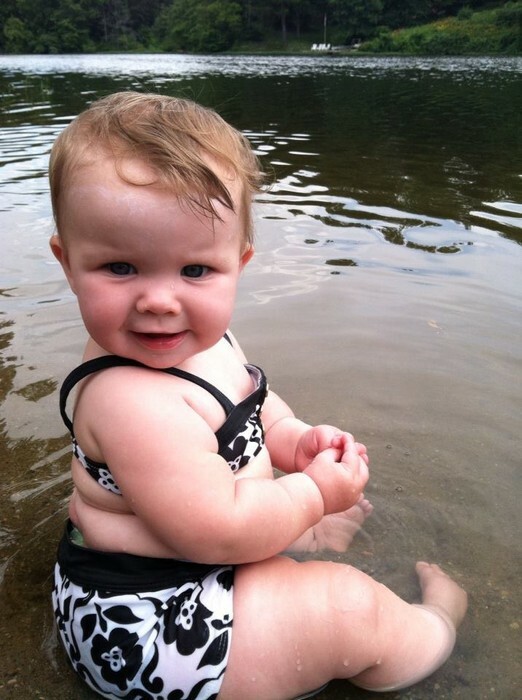 They seem to be everywhere… grocery stores, shopping malls, the zoo, even your child’s classroom. What are they and more importantly, why are they invading the classrooms? No, I’m not talking about your newest crop of students, I’m referring to QR or Quick Response Codes! 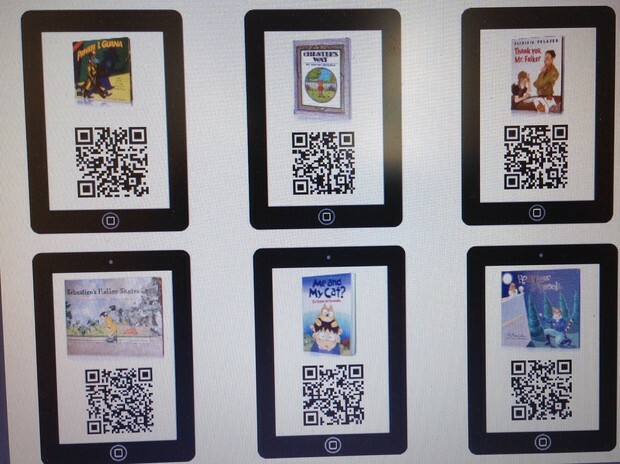 Teachers in HSE have been using QR codes with their students so they can easily access and listen to a variety of picture books. All the students have to do is scan the QR code to access and read the book!!! -Eliminate math phobia. Send home how-to videos for challenging math problems by adding QR codes to homework sheets. Nervous parents will get at-home assistance and students will appreciate the review. -Create a scavenger hunt. The students must seek out the QR codes that are posted in a given area. Use the codes to go to information to answer a question and or find a clue. Then on to finding the code. -Use a QR code to poll students on a certain topic. -How To Videos: Include QR codes with your math games. The students can hear or see how to play the game and you'll never have to hear, "But we don't know how to play it!" again! -Is there a special basket, bin, or shelf in your library devoted to an author? Use a QR code on that basket, bin, or shelf to instantly pull up videos of the author discussing their life, their favorite books. or tips on reading and writing. -Let students promote their favorite books with book trailers or reviews. Affix QR codes to corresponding books or book posters. And sun-bathing Annabelle.... it will be warm again one day, right! ?